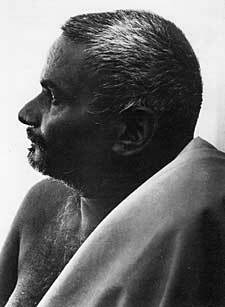 Swami Bhagavan Nityananda (November/December, 1897  – August 8, 1961) was renowned in the southern and western parts of India, and is regarded by many as one of the most important modern saints of the twentieth century. Rudi’s chance meeting with him in Ganeshpuri, India, transformed the course of Rudi’s inner work for the rest of his life. 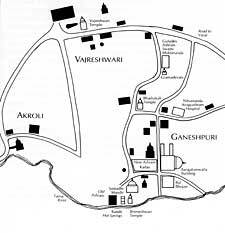 “We left the car and walked to a plain building and then through a doorway that led to the large room where the saint held audience. The first impression was overwhelming. There were people crowded in every corner in a state of religious hysteria. In the front of the room sat a large, dark man in a semi-trance. I was completely repelled. What was I, a sophisticated westerner, doing in this weird scene? How could this utterly strange man have anything important to give me? He didn’t even seem to be aware of his physical surroundings. For one long moment, I was filled with the impulse to turn around and walk away. But I have learned not to trust my instinctive reactions. Instead, Beebee and I watched as people streamed by the saint, receiving a blessing or asking him a question. “A few minutes passed. Then, to my dismay, we were led to the front of the room. Before I could say anything, I found myself being presented to the holy man, who seemed completely indifferent to me. I was asked if I had a question. Only one thing occurred to me, so I told him I was planning to move to New Zealand shortly and asked if this was the right thing for me to do. I wasn’t sure why I asked since I already knew the answer. “I was deeply shocked. With one stroke, he had cut through the fabric of my whole life. I left the room in a daze. 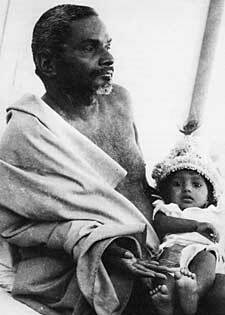 Details about Bhagavan Nityananda’s birth are relatively unknown, but according to his disciples, Nityananda was found as an abandoned infant in Tuneri village, Kozhikode, India, by a woman named Uniamma Nair, who was married to Chathu Nair. Even in childhood, Nityananda seemed to be in an unusually advanced spiritual state, which gave rise to the belief that he was born enlightened. 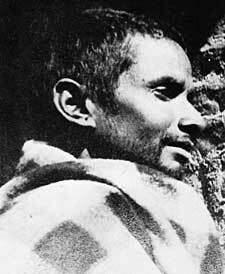 He was eventually given the name Nityananda, which means, “always in bliss”. 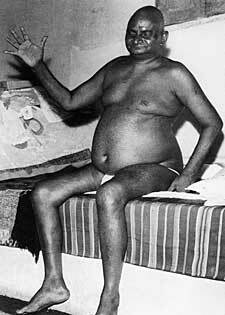 As a guru (teacher), Sri Nityananda gave relatively little by way of verbal teachings. Starting in the early 1920s, his devotees in Mangalore would sit with him in the evenings. Most of the time he was silent, though occasionally he would give teachings. A devotee named Tulsiamma wrote down some of his teachings and his answers to her specific queries. Later, these notes were compiled and published in the Kannada language and came to be known as the Chidaksha Geeta. It should be like a lotus leaf, which though in water, with its stem in the mud and the flower above, is yet untouched by both. Similarly the mind should be kept untainted by the mud of desires and the water of distractions, even though engaged in worldly activities. Then, just as the stalk, stem, and leaf, when properly cultivated and not disturbed, will culminate in the lotus blossom, similarly if the detached mind and faith in the Sadguru (God or his incarnation) are firmly established in the lotus of the heart, and never allowed to wax or wane with happiness and difficulties, his grace will be invoked. 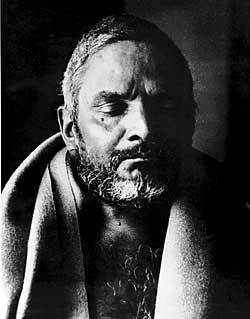 While Bhagavan Nityananda is no longer with us incarnate, his spirit and energy is still available to anyone of sincere heart and the burning desire to have, above all else, a spiritual life.